Hi everybody! Wow I'm so close to the end of this challenge, so bare with me! For today's post I have for you is another alphabet, K for kitten...well skeletal kitten. 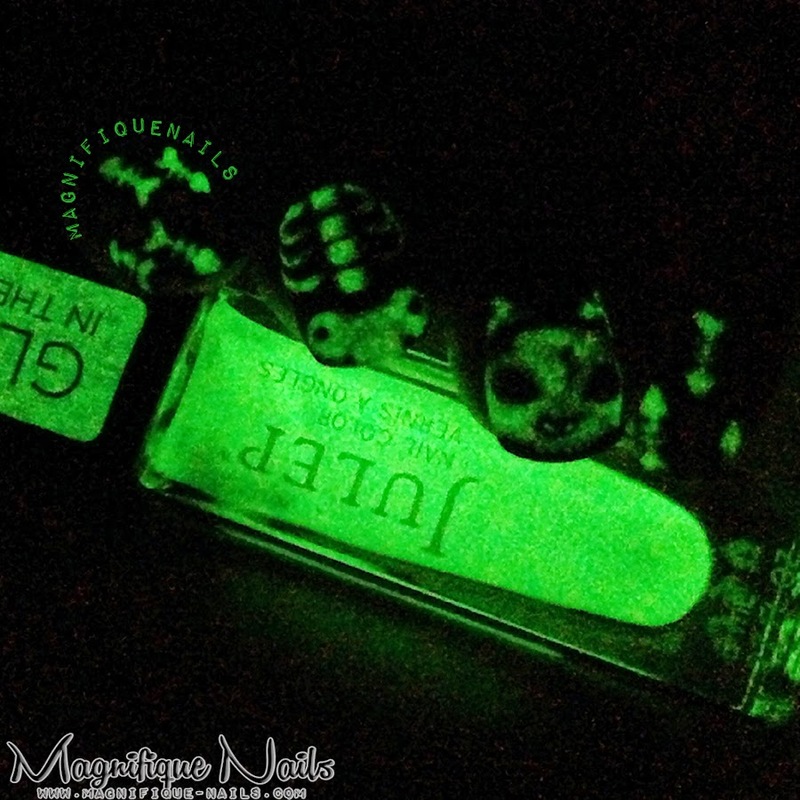 Since were in the month of Halloween, why not create another glow in the dark mani, obsessed! I have this really cute Halloween decoration, that I really love, which is a skeletal cat balloon. Isn't he cute! So I thought to dedicate a mani on this cutie. I was really proud of myself on how far I came along in my artistry, not the best, but good enough. 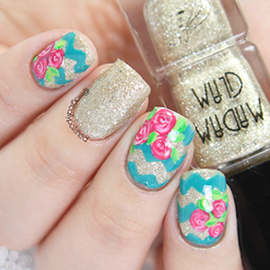 This has to be my favorite mani, I've done this year, so far & I hope you guys enjoy it to! For the base, I applied two coats of Julep Cleopatra. I purchased this polish along with my Julep Maven box. It's a black latex crème, once dried it is matte, which is perfect worn alone. To give it a little texture, I used the saran wrap method, with Julep Missy. I then added another set of Julep Cleopatra on top of the sliver. I didn't want the sliver to be the main focus or take away from the white. 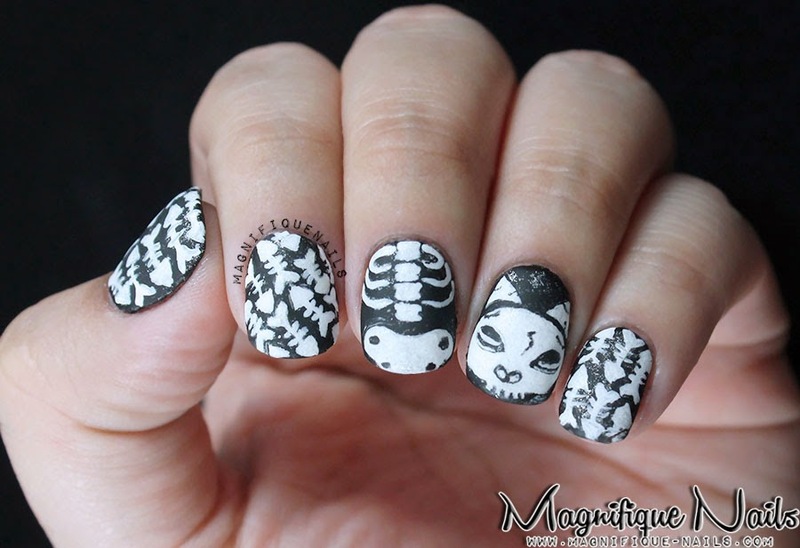 For the designs, with a nail art brush, I added various small fish bones on the three of the nails, using Forever 21 White. I wanted the fish bones, to keep stay on the skeletal theme. 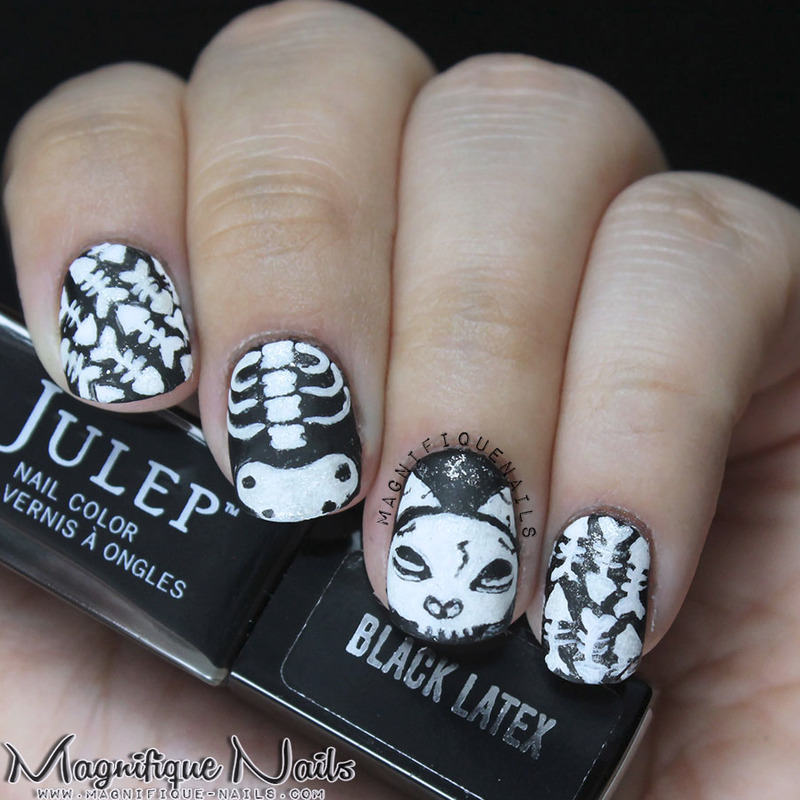 Then I drew the skeleton body, resembling the cat and the kitten skull, on the ring finger. Truly I've out done myself. It took me at least half an hour to finish the cat and was surprised how it turned out. With Julep Casper, this a perfect sheer glow in the dark polish, that can be worn alone or applied on top of any polish. Which is wonderful, since its sheer enough to add on top of the design. Lastly, I added Essie Matte About You, for more of the matted look. Hope all of you enjoyed my post today! What do you guys think?